I am a big fan of hardy Texas plants — the kind that stubbornly display their beauty under the toughest of conditions. And when it comes to hardy plants in the Lone Star State, the beach morning-glory has definitely earned its place on the list. 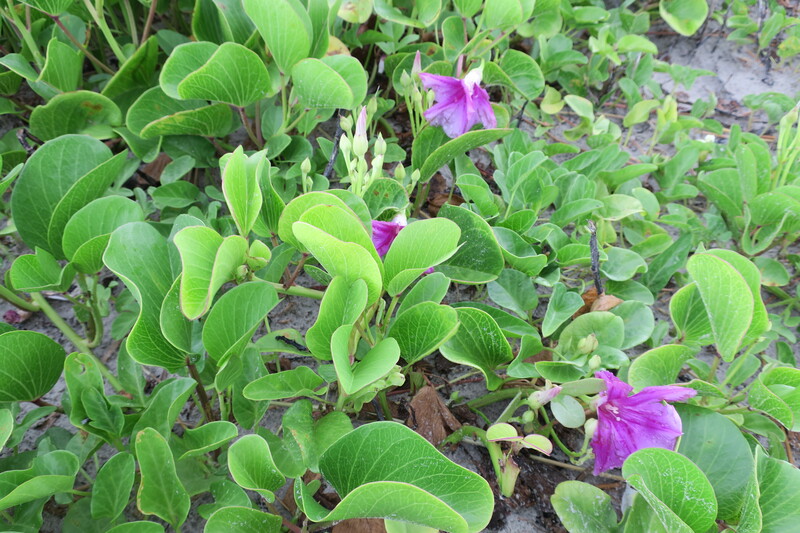 This is one tough yet essential plant that plays an important role on Texas beaches. Beach morning-glories thrive in one on the most hostile environments in Texas — our beaches. This blossom-yielding vine is unaffected by the scorching heat, strong winds, and salt water along the 367 miles of Texas coastline. 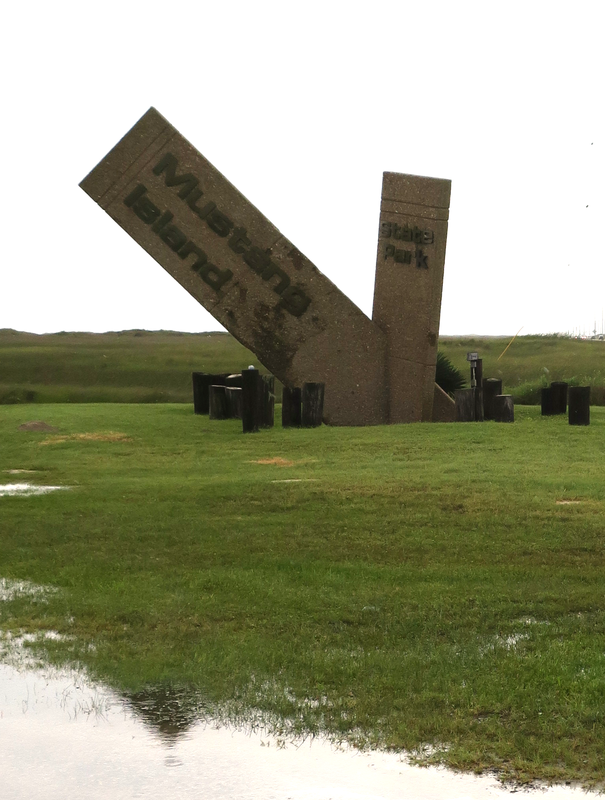 Regardless of what the Texas coast throws at this plant, it continues to thrive. On a recent trip to Mustang Island State Park near Corpus Christi, beach morning-glories were on full display under overcast skies. The rain soaked dunes at the park were draped with beautiful morning-glory vines. These fast-growing vines can reach lengths of thirty feet. They play a key role in stabilizing sand dunes by sending their roots deep into the sand. There are several species of morning-glories. 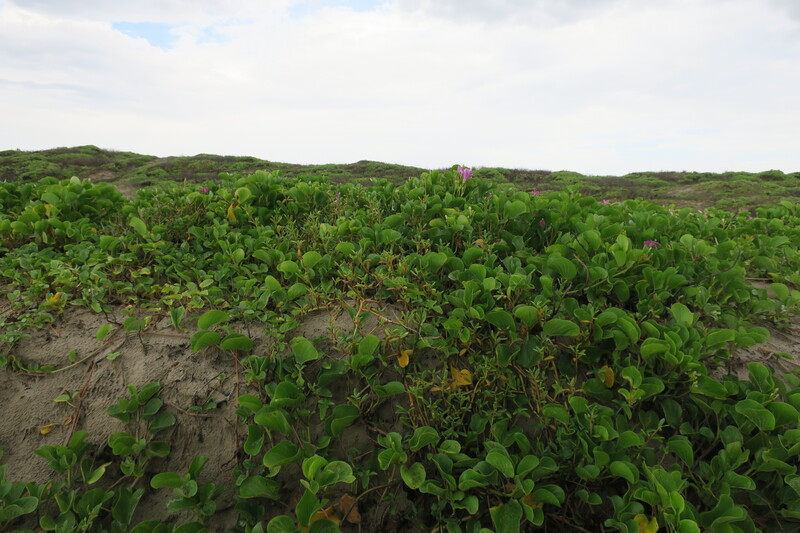 The particular species I saw at Mustang Island was the Ipomoea pes-caprae also known as railroad vine, bayhops, and goat-foot because the two-part leaves resemble the footprint of a cloven hoof. This species produces a beautiful deep pink or fuchsia bloom. 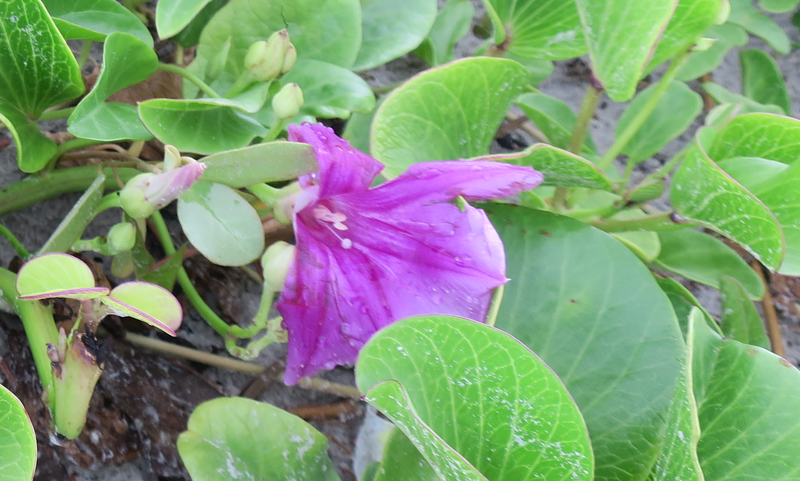 Beach morning-glories bloom from April through December along Gulf Coast dunes and beaches. 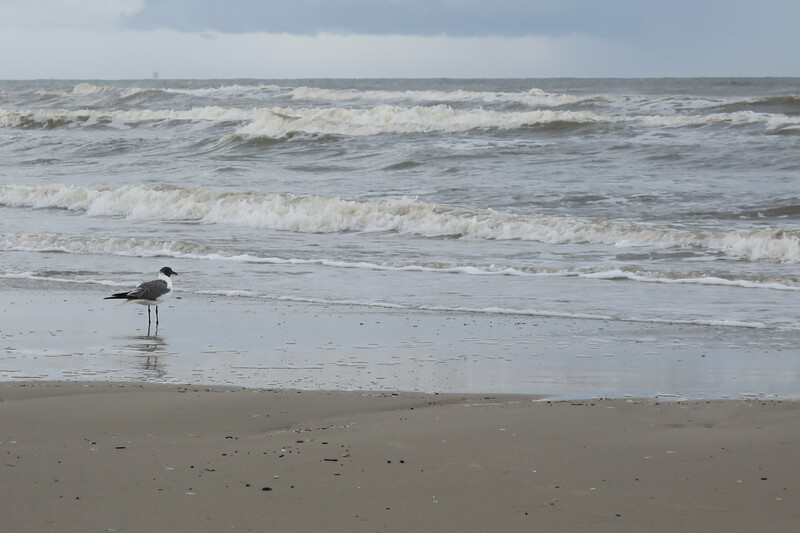 They add beauty to our Texas beaches while providing the essential service of stabilizing sand dunes and the barrier islands that protect the Gulf Coast. Look for this beautiful Texas wildflower the next time you take a stroll down one of our Texas beaches. This entry was posted in Flora and Fauna, Texas State Parks and tagged Beach Morning-Glories, Ipomoea pes-caprae, Mustang Island State Park. Bookmark the permalink. Nice post and pix 🙂 Have a beautiful day! Thanks. Appreciate your readership. Have a great day. Omar, I’m betting you’re also a fan of Texas Sage, also known as “ceniza” – that beautiful silver-gray shrub that bursts into stunning deep pink blooms a few days after it rains, especially if that rain is breaking a dry spell. It will bloom several times over a summer, depending on the rainfall. You can’t trick it into blooming by watering it – in fact, it prefers to be fairly dry – but when it rains, just stand back and watch. So pretty! I love Texas! Absolutely a fan of ceniza, Lanni. Yet another plant that gives our Texas landscapes a beauty all its own.